In my case I've used with great succes other phones for data transfers with my laptop and obviously the speed is greater, so the needed time is shorter. 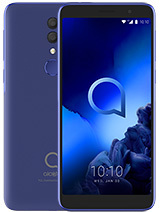 I could even engage another service of the same phone while transferring via Bluetooth, like the voice call or the video call (where is case). I have never experienced the USB transfer with any phone nor have the S853 yet, so I don't really know if this phone supports 'multi services' feature (in the same time). Let's hope the next phone will have this problem (and others) corrected. As I mentioned earlier, the 2 s853 couldn't detect each other after activation of bluetooth. Definitely this phone bluetooth is not design to support any kind of data transfer. It works very well with bluetooth headset though. It is nice if the phone support data transfer with bluetooth, however for me the usb cable & infrared is very good enough for me for all data transfer from/to pc other infrared device & I don't have any other bluetooth device like PDA or notebook. But in near future when all pc/notebook/PDA/mobile phone are equipped with bluetooth, maybe I have to consider a new phone with fully functioning bluetooth. 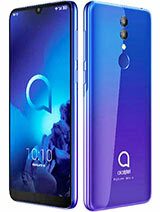 transfer- hopefully, because I still hope that my next phone is still an Alcatel. You said you have two S853 at your home. Could you please try to see if the Bluetooth works between the two of them? I believe the Bluetooth version from the S853 is not compatible with other brand but only with this one. 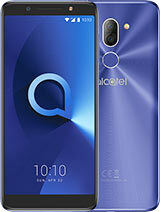 To kampret: Alcatel 853 has a superior sound, not comparable to any other phone on Earth. Nice to hear your phone is working again. I tried the Apacer 1 GB card, though it showed as much as 318 MB of useful space. That might be Apacer's problem, but also it can be my phone's problem. Did not have a chance to try SanDisk 1GB card though. I am in a good mood today of course, I guess I will leave this X-photo as is. Thanks for support. Actually Hung the 1 gb cards from sandisk are supported so they should work just fine. And MPU great to hear it works again. Good to know that you can "fix" the phone yourself when it has an issue. However the crash makes sence somehow, as with a computer, when the power is suddenly cut the cpu is messed up too... so it makes sence in a way that the phone was "confused" too. Very nice 2 hear good news from you. And in future when you have a chance to try 1G memory card please tell if the phone supports 1G card or not. 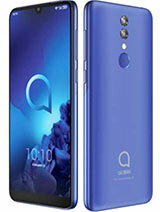 Yeah, Alcatel is great! The phone is hopefully online. I do not know whether I found this hard reset key or it just stopped annoying me - it is simply online again. At least in my case it went wrong. Remove the memory card; Remove the battery and re-install the battery then plug in the charger to charge the phone; wait till the battery is full then press and hold the POWER BUTTON for a while, after releasing the button please wait till the phone switch on for some minutes. If the phone doesn't still work, try to start the phone again. I don't know exactly that it will help but try to do that first. Good luck to you. And actually all the info is left untouched, I have all the contacts and diary entries. 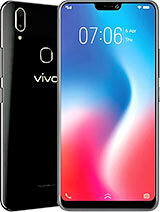 To the future users: if you want to have this phone, go ahead. Just do NOT mess with the X-pictures. And be prepared for slower working than with the 757 in some times. Otherwise this phone is cool. 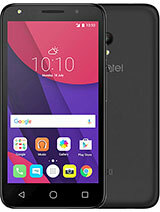 Just help me to reset this phone back to its original state and I will HAVE a chance to bee good. Otherwise it is not functioning. Once again, does this phone have a hardware reset button? Does this phone has hardware reset to the factory settings? Sometimes, I have the same problem like yours. Some red-X photos and even red-X videos(in memory card). But I didn't care that and I didn't try to open or delete them. Instead, I did with other OK files or let the phone alone for some time. And then the phone could work again and could read those files. And I didn't lose some of my favorite photos or videos. I agree with mr. Azm that we should save the phone memory by not trying to fill too many big files to the phone, instead of that we should use the memory card. Sometimes I also have to restart the phone for optimal use. it seems inconvenient but it helps me to be patient. 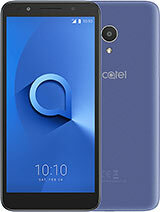 I love alcatel phones and I am ready to be patient with mine. So don't be impatient. Be careful with your phone and it will work Ok. I only have one problem that I haven't tried a 1G mini SD card. So I cannot know the phone support 1G card. I hope someone could tell me about that. I found three of those X-pictures during my usage time. The first was deleted, the next vanished itself, because both of these were assigned to a contact. The last wasn't assigned, I could no way delete it. Finally tried to remove the folder and the phone said "Goodbye". Does anyone know about the firmware reinstalling or other stuff?